your local basement finishing experts! Everybody knows that the way to add value to a home is to make the best use possible of all available space. Yet many of us live in houses with perfectly serviceable, yet unfinished basements. It’s a tragedy. With help from Salt Basement finishing in Bluffdale, Utah, you can turn your unfinished, sorry-looking basement from dull and drab into something spectacular. We have all the tools that you need, including 3D visualization, to turn your unused underground space into something that you can be genuinely proud of. So what are you waiting for? There are all kinds of reasons why you might want to consider having your basement finished. Improve Storage. If you’ve run out of space in your home for all your stuff, then a finished basement might be just what you need. With our bespoke basement finishing service, you can upgrade your storage capacity instantly with fitted solutions to your exact specification. Create your own private cinema. Basements are perfect for cinemas because they get much natural light. You can turn your basement into a private movie theatre, complete with recliner chairs and a big screen. Boost the value of your home. People who finish their basements can significantly bump up the value of their property when they come to sell. Provide space for your children to play. Basements are a great place to keep the kids contained, providing ample space and storage for all their toys and games. Add an extra bedroom. Want to have lots of people over for the holidays or a special occasion? Converting your basement into a bedroom suite instantly gives you an extra room to accommodate guests. Build your very own games room. If you love pool, billiards, table football, and darts, then why not convert your basement into a games room? You can have hours of fun competing with your kids or friends. 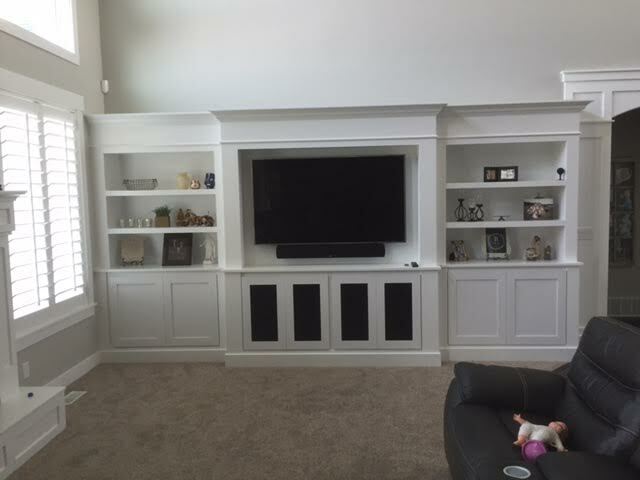 We know that there is a range of basement finishing companies in Bluffdale, Utah. So what makes Salt Basement Finishing the best? With Salt Basement Finishing, you don’t get a contractor: you get a partner. We work closely with you throughout every step of your basement transformation, providing guidance, advice, and listening carefully to your exact requirements. Want to know what your project will look like on completion? With our 3D visualization technology, we can create a mockup of your basement ahead of time, so there are no nasty surprises. Don’t worry about meeting local building codes. We can take care of all the boring stuff for you. Salt Basement Finishing is a professional basement finisher. With us, you don’t have to worry about moisture getting in and ruining your basement transformation. We always get the basics right, first time around. The last thing you want during a basement finishing is your contractor cluttering up your yard with building tools and equipment. All our professionals work carefully to minimize yard mess so that you can enjoy your property during construction.